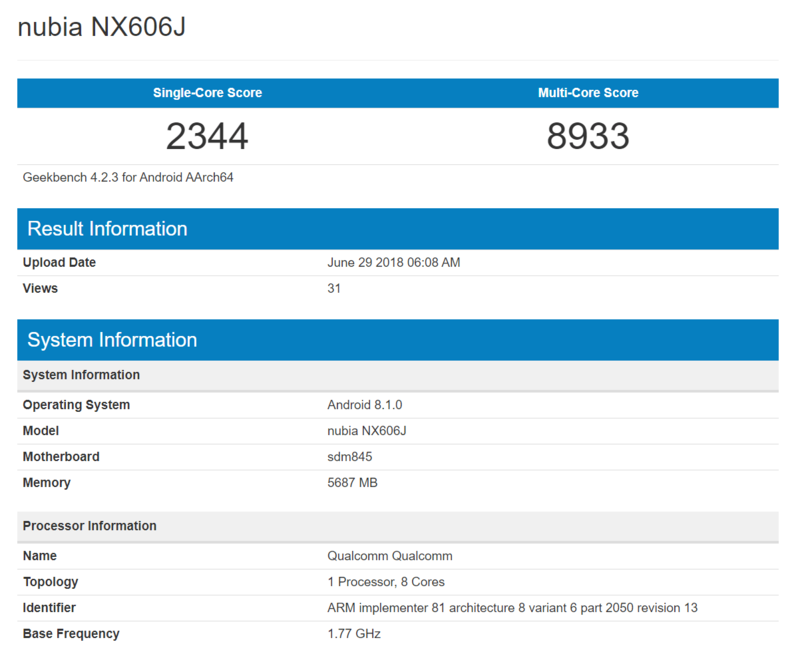 Recent reports have revealed that the ZTE Nubia Z18 has a model number of NX606J. This model has appeared on AnTuTu and TENAA in the recent past. The same model was spotted in 6 GB and 8 GB RAM variants on the Geekbench benchmarking platform a few days ago. 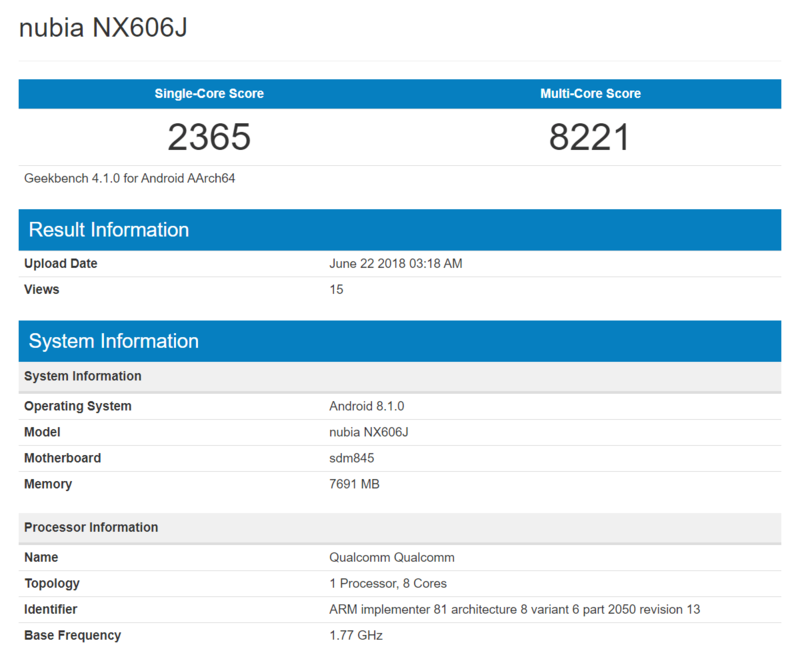 According to the different Geekbench listings of Nubia NX606J that surfaced in the previous month, both its 6 GB and 8 GB RAM variants are powered by Snapdragon 845 SoC. It will come preinstalled with Android 8.1 Oreo. Last year, the Chinese manufacturer had launched the Z17 in June 2017. Its 6 GB RAM model came in two storage capacities like 64 GB and 128 GB whereas its 8 GB RAM model was made available 64 GB and 128 GB variants. The Z17S that arrived in October 2017 came in variants like 64 GB storage + 6 GB RAM and 128 GB storage + 8 GB RAM. It seems that the upcoming Z18 could be arriving in 6 GB and 8 GB RAM variants. According to the TENAA listing of the phone, the 6 GB RAM variant may feature 64 GB of storage whereas the 8 GB edition may include 128 GB of storage. TENAA has further revealed that the Nubia NX606J will be arriving with 5.99-inch display that supports 2160 x 1080 pixels. The display is expected to feature a round notch like the Essential Phone. The notch will be housing an 8-megapixel front-facing camera. A dual camera setup with a 24-megapixel primary sensor will be present on its rear. It is powered by 3,350mAh battery.